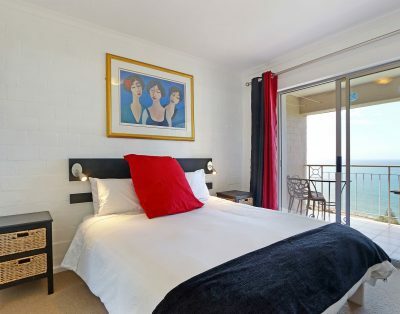 Whale Watchers Properties brings you this superor luxury penthouse apartment. Located on the top floor of the Empire building, this 3-bedroom penthouse has panoramic sea views from three private balconies, a lounge and 8-seater dining room table. A fully-equipped kitchen features a dishwasher and washing machine and there are 3 bathrooms – 2 ensuite. A sleeper couch is available in the lounge, suitable for 2 children with a surcharge applying. “Bluebird Penthouse is a beautiful apartment with panoramic sea views, situated in Muizenberg. This eclectic beach-side suburb is a colourful mix of history, architecture, fantastic beaches and culture. 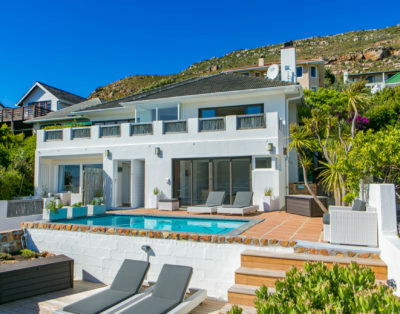 Set in the heart of the southern suburbs of Cape Town, Muizenberg lies against the mountain and is en-route from Lakeside to Kalk Bay.